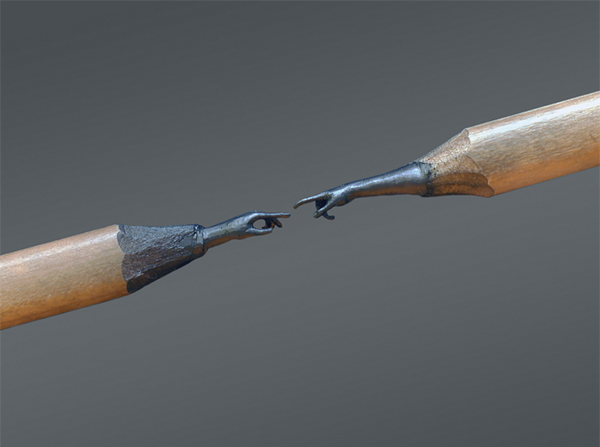 Imagine the patience required to create such intricate carvings as this? 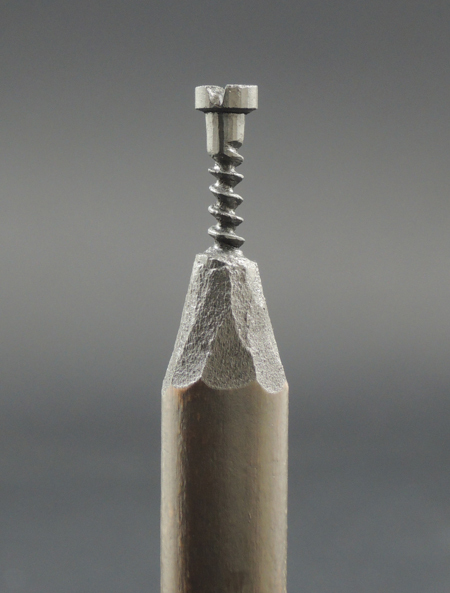 Recollecting the tedium of sharpening pencils in art classes, only for the lead to inevitably break off would be enough to put me off. 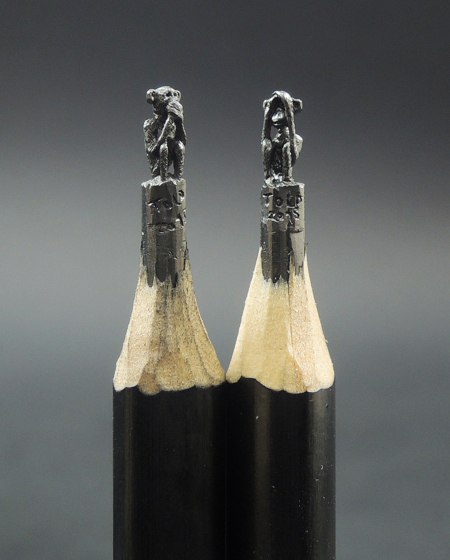 Yet for Bosnian artist Jasenko Đorđević, carving his sculptures made from pencil lead, fulfils a lifelong passion for all things miniature. 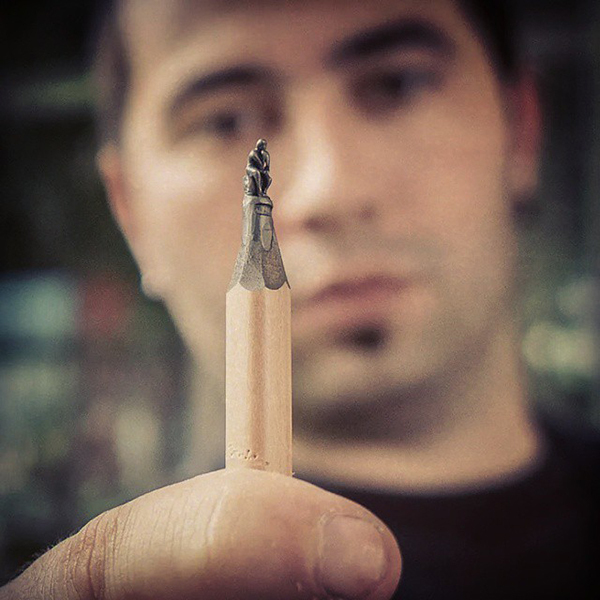 During his early years, he would spend hours making things out of the tiniest bits of paper (including a 1.5 x 2.5mm origami boat), ever striving to push his limits. 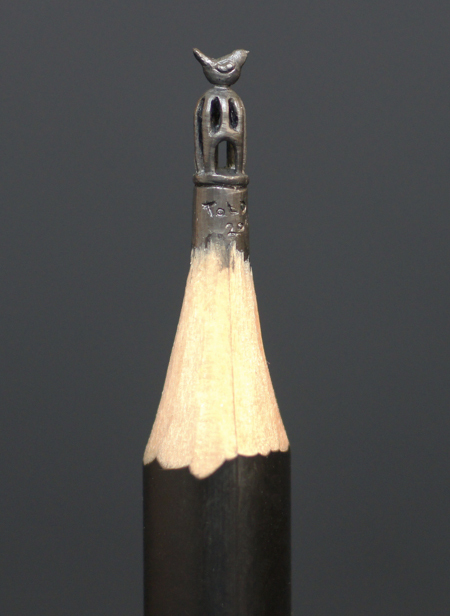 In 2010 he began working with pencils, and the works are so small, they require a magnifying glass to see them. 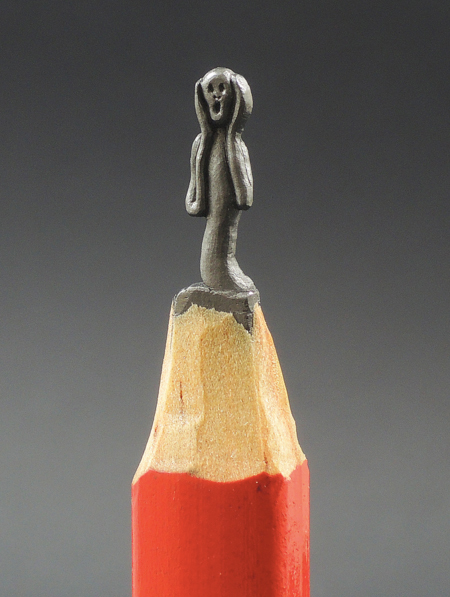 Đorđević uses an X-acto knife and tiny chisel to sculpt anything from three wise monkeys, to copies of famous artworks such as Edvard Munch’s The Scream. 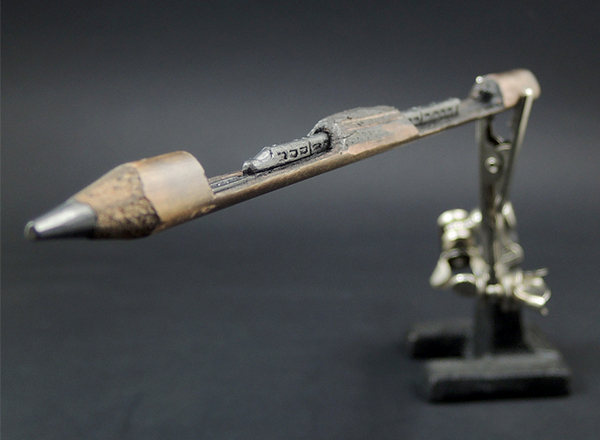 Under the alias ToldART, he chronicles his impressive portfolio of sculptures through photos and videos on Instagram.